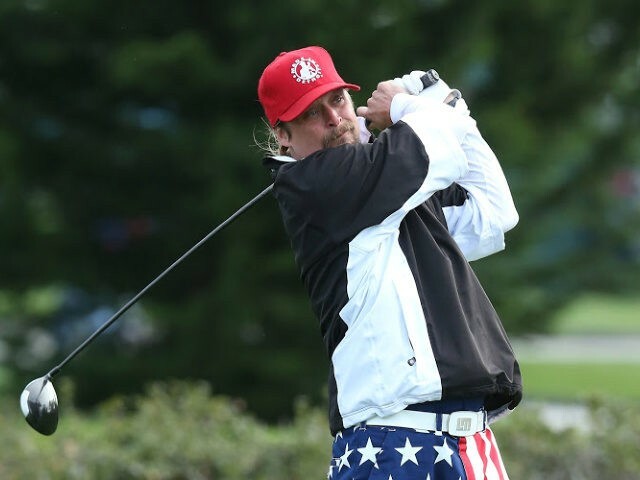 President Donald Trump spent Saturday golfing with rock superstar Kid Rock, a day after the Russia collusion investigation by special counsel Robert Mueller was completed. The president left his club at Mar-a-Lago and traveled to his Trump International Golf Club on Saturday, but he did not tell reporters who his golfing partners were. The answer was revealed on Twitter hours later, as Kid Rock posted a picture with the president. Trump and Kid Rock spend time together occasionally as the famous rocker supported him for president in 2016. In April 2017, Kid Rock joined rocker Ted Nugent and Sarah Palin for a visit to the White House, and in October 2018, he appeared with Trump for a signing ceremony for a music regulation bill.